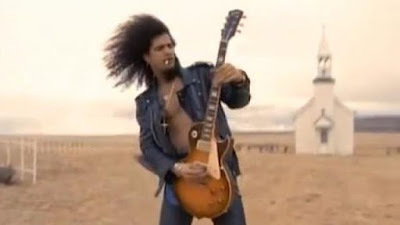 The video for Guns N’ Roses 1991 classic, “November Rain”, has reached a new milestone on YouTube. Forbes reports the clip has become the first music video from the pre-YouTube era (the site launched in 2005) to surpass the 1 billion views mark…and shows no sign of slowing down. Directed by Andy Morahan and one of the most expensive music videos ever made, “November Rain” averaged nearly 560,000 views every day in 2017, according to YouTube; its hits are actually increasing in recent years, with its peak daily views reached on November 25, 2017. The third single from “Use Your Illusion I” reached No. 3 on the Billboard Hot 100; at almost 9 minutes, the tune also has the distinction of being the longest song in history to enter the top ten of the US chart. The biggest 1990s YouTube videos after “November Rain” are “Zombie” by The Cranberries with 739 million views, and Nirvana’s “Smells Like Teen Spirit” at 727 million. The all-time top YouTube videos are still led by recent songs, with its top 20 all from this decade, including Luis Fonsi’s “Despacito”, which clocks in with more than 5.32 billion views.